Everything you notice in today’s hyper-marketed world is carefully created to earn your attention. Whether it’s the drink you choose to go with your sandwich at lunch or the business card that catches your eye thanks to its striking logo, human beings are naturally wired to pay attention to images. 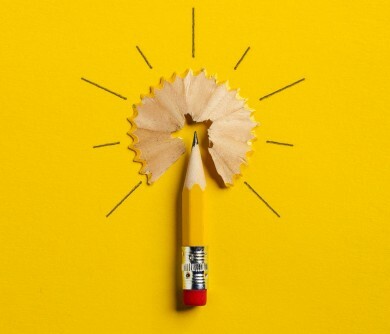 As the world becomes increasingly complex and competitive, the simplest way for companies to introduce new concepts and ideas might be to translate them into visual form. After all, it’s much easier to scan through a selection of brightly-coloured images, than read a lengthy white paper or review. An infographic designer can help you to convert complex thoughts and messages into pictures that grab your customer’s attention and force them to take notice – even if it’s just for a couple of minutes. In a world where informative images are “liked” and shared on social media three times more frequently than any other content – it makes sense to add infographic styles to your content repertoire. Infographics can combine illustrations, graphs, and symbols with short-form text to sell a unique story. They can educate viewers, enact positive changes in a community, promote a brand, and sell an idea. The question is, what makes good infographic design so important, and how can you use them to boost your brand? First things first. Infographics are simply “graphical representations” of data or information. Their purpose is to present complicated information quickly and clearly. So, how and why is infographic design so beneficial to your brand? Well, studies indicate that 90% of the information we retain is based on visual impact. In a world where billions of pieces of content are published every minute – it’s easy to see why visuals stand out. One study discovered that content featuring visuals like infographics can generate 94% more views than text-based content. Additionally, publishers that use infographics grow their traffic at a rate around 12% faster than infographic-less companies. If the infographic design that you choose is compelling and attractive, then it will naturally drive traffic to your website, social media pages, and other online touch-points. This is because people are more likely to share visual content. Ultimately, the aim of any marketing plan should be to give your customers as much value as possible. Readers don’t just want a sale, they want brands to enhance their daily experiences in some way. The good news is that eye-tracking studies tell us that people pay close attention to infographics, giving them plenty of opportunities to learn. 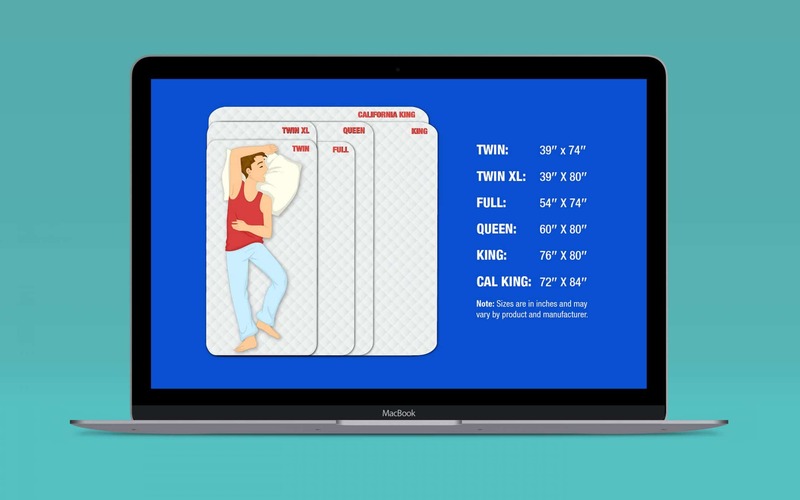 Consider this small infographic about mattress sizes for instance. Without the graphics, it would be hard for a brand to portray the same powerful information to their audience. Great infographic designers can even help you to stay “top of mind” with your customers. 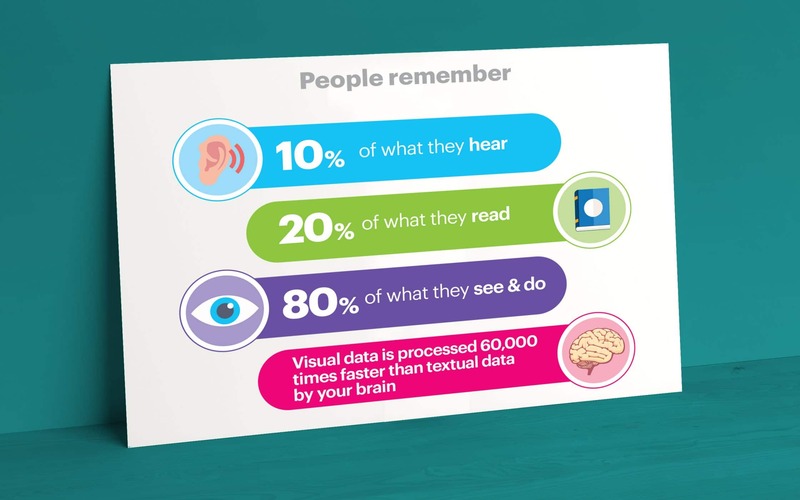 Remember, the human brain is designed to remember visuals more easily than text. In fact, the programming we have towards visuals is so significant that we can recall around 65% of what we see in an image – days after encountering it. On the other hand, we only retain about 10% of textual information. Adding infographic styles to your content marketing strategy could be the key to ensuring that your brand stays with your customer for longer. Perhaps one of the best things about infographic design is that the purpose of a graphic is to educate and entertain your audience – not just sell a product. The right infographic allows you to build a stronger relationship with your customers by demonstrating your brand purpose. 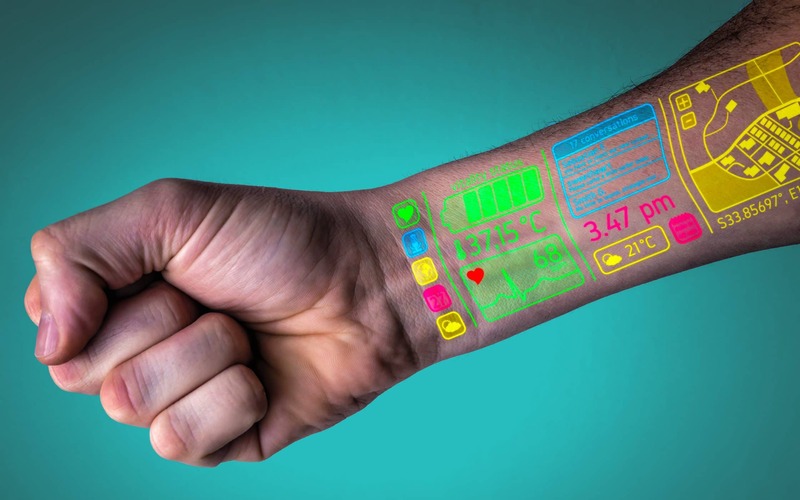 Remember, people are more likely to connect with and buy from a brand that appears to put their best interests at heart. With an infographic, you create personal connections, share information and make potential sales without being pushy. In an environment where video content is more popular than ever, and social media marketing is on the rise, you might wonder whether infographic design is still relevant. However, infographics are still one of the best ways to turn otherwise dull and boring information into shareable content. Of course, as with most things in the world of marketing, it’s important to make sure that you get your design right. Here are a few tips to get you started. This guidance could help you to draft your design before you talk to a specialist infographic design agency. Before you start creating infographics, you need to ensure that you have content worth sharing that relates to your brand identity. Take a moment before beginning your project to ask yourself what the goal of your infographic project is, and why it’s important for your brand. What are the people in your industry currently talking about? Does your audience have a specific problem they need to fix? What ideas could you communicate and explore? Creating the perfect infographic requires plenty of research – and not just when it comes to finding the right infographic design agency in London, or further afield. While researching the data for your graphic might take some time, it’s crucial to embrace the quest for useful, and valuable information. Find out everything you can about your preferred topic by tapping into as many resources as possible. Make sure that you double check any facts and statistics you want to use. 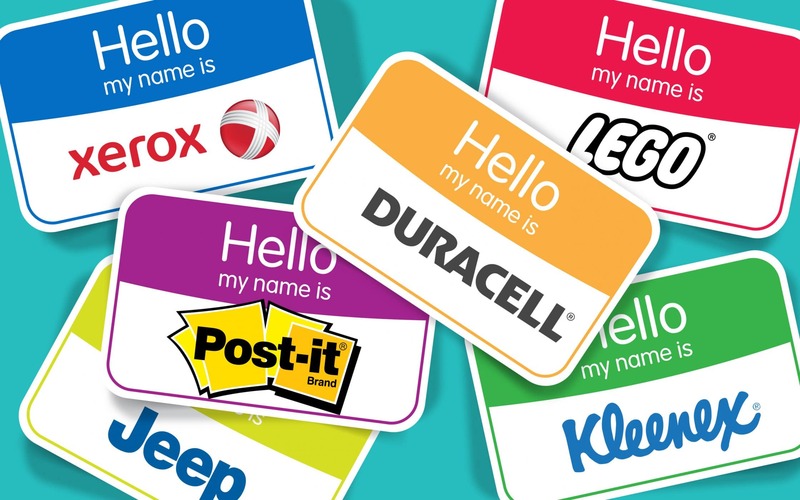 Poorly-researched facts could have a negative impact on your brand identity. One of the first things a professional infographic designer will do when they sit down to create something for your brand is browse through sources of inspiration. Checking out the competition can help you to get some ideas into which direction you should go in. While it’s important to make sure that you don’t simply copy ideas for infographic design, you can get a general insight into how much written text you need to create, what style of images get the right responses and so on. From there, you can begin to build a “wireframe” for your design agency to use. Does my audience prefer quick information? If so, keep the infographic short and sweet, with plenty of bullet points. 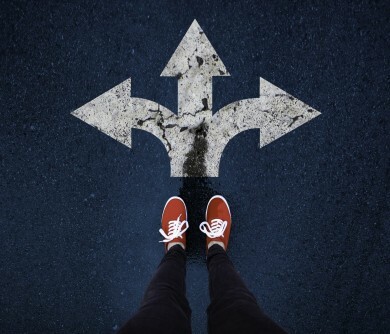 Do my customers prefer depth? Consider using longer infographic styles to get more valuable information across – just make sure it’s easy to scroll through the graphic. Is my audience numbers-driven? 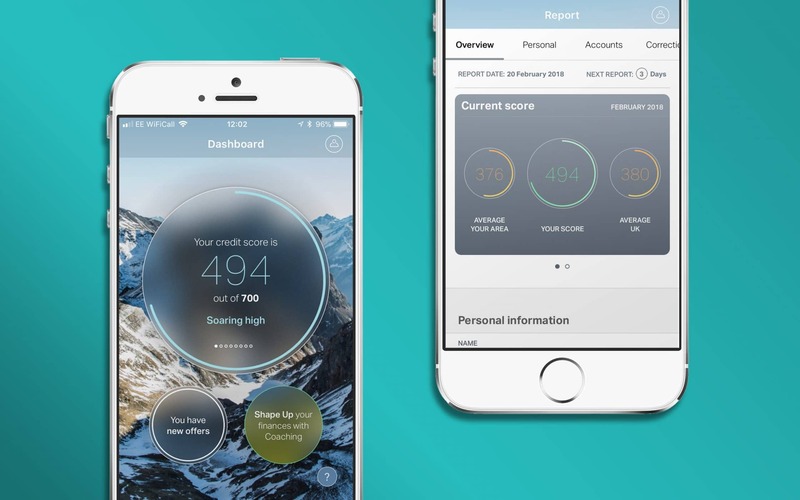 Do your customers like to look at statistics before making a choice? Present number-based data in the form of bullet points, graphs, and charts. 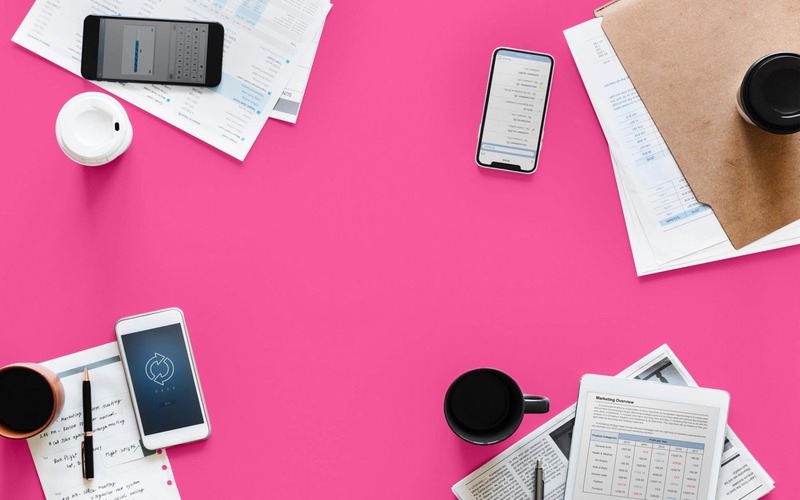 Once you know what your competitors are doing, what your audience likes, and what kind of content you’re going to cover, you’ll need to think about linking your infographic to your brand personality. Every piece of content you produce should be an extension of your unique tone of voice or identity. If your brand is more playful, you might consider using illustrations instead of photos. Think about what kind of colours you have in your brand manifesto, and whether there are any specific kinds of font you should be using. Infographic design is a powerful, and often a cost-effective strategy for designing visual assets for your brand that you can re-distribute and repurpose in several ways. 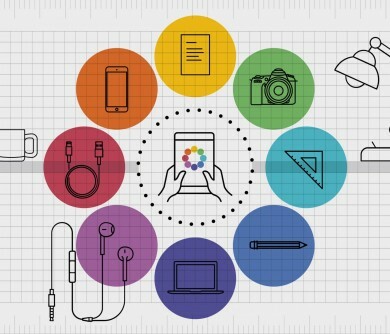 From videos to presentations and brochures, there’s no shortage of ways to use visual content. Of course, just because infographics can be valuable and compelling doesn’t mean it’s the right strategy for your entire content plan. Sometimes your brand will need to enhance its authority through written content or improve its outreach through social media. Simple information may need to be shared within a few sentences, while certain complex ideas might not translate into images. Don’t just force your information into an infographic, think about how you can portray data effectively using the right infographic styles. An infographic is a story – just like a great article or case study. The difference between a blog and an infographic is that graphics are designed to guide your customer through your narrative with pictures instead of text. Sometimes, this can make complex data much easier to digest. 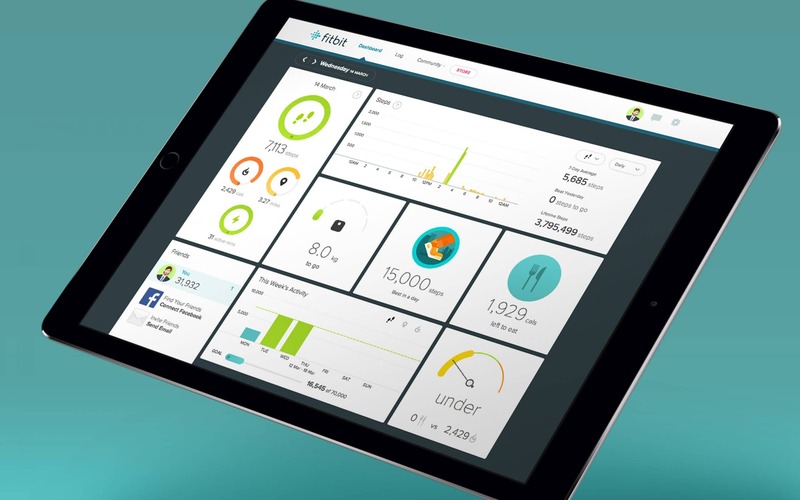 For instance, at Fabrik, we recently worked with the National Grid to help them present powerful statistics in a way that their customers could understand. 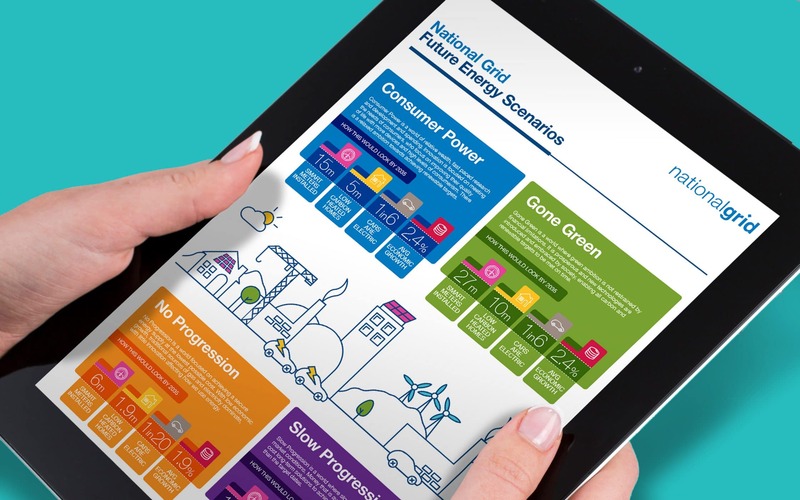 Our simple and colourful infographics got rid of the jargon and presented energy information in a way the company’s audience could relate to. One of our infographic designs explained how average energy consumption in the Christmas period compared to typical energy use. Sometimes, a powerful infographic design isn’t just about presenting in-depth information in a digestible way, it’s about presenting old information in a new format. For instance, no-one likes to talk about breast cancer – but this is a common problem facing millions of women around the world. The Worldwide Breast Cancer society created their #KnowYourLemons campaign to raise awareness for the 1 in 3 cases of breast cancer death that could be prevented. 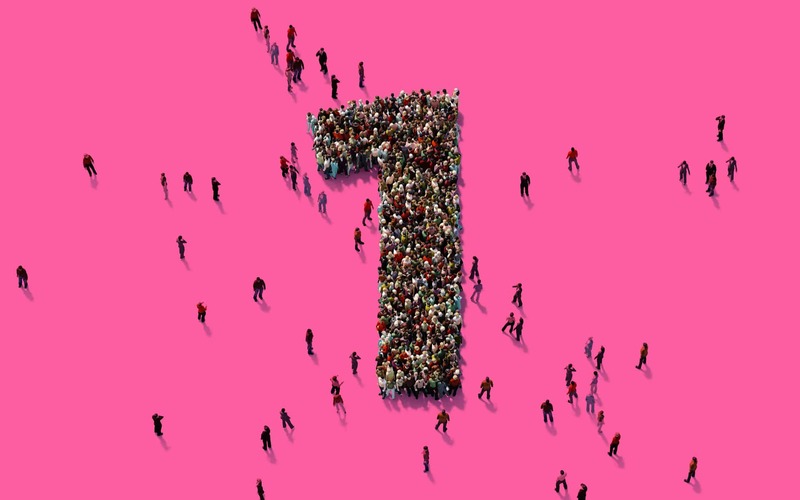 The Worldwide Breast Cancer community knew that they had to do something different to get women to stand up and take notice of what’s going on with their breasts. 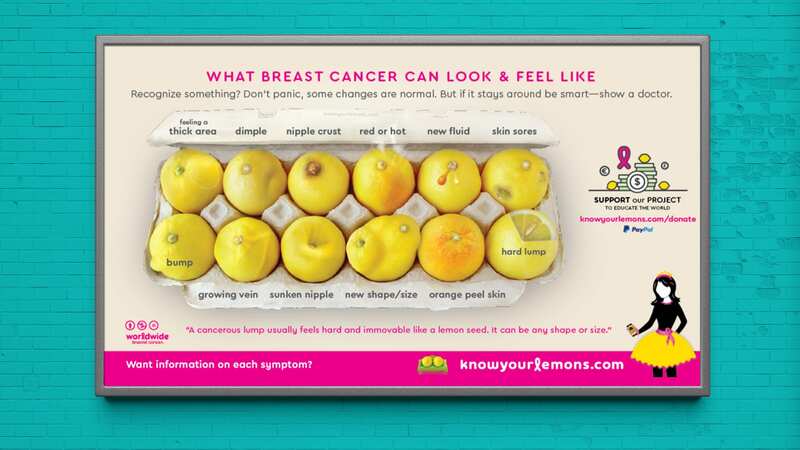 With that in mind, they established a beautiful infographic design connecting breast cancer symptoms to images of lemons. Using lemons instead of pictures of breasts made the infographic easier to look at for some. Additionally, lemons made the concept of “breast cancer” seem friendlier so people were less likely to avoid it. Finally, sometimes infographic design can be a great way to help your audience relate to you on a deeper level. By visualising data using photographs of real people, you can demonstrate to your customers that you’re more than just another boring business. Human beings emotionally respond to other humans. That’s why including photography in your web design and content marketing can be a fantastic way to make an emotional connection with your audience. Additionally, if you can connect your infographic to a trending topic, then you can make it more instantly shareable. 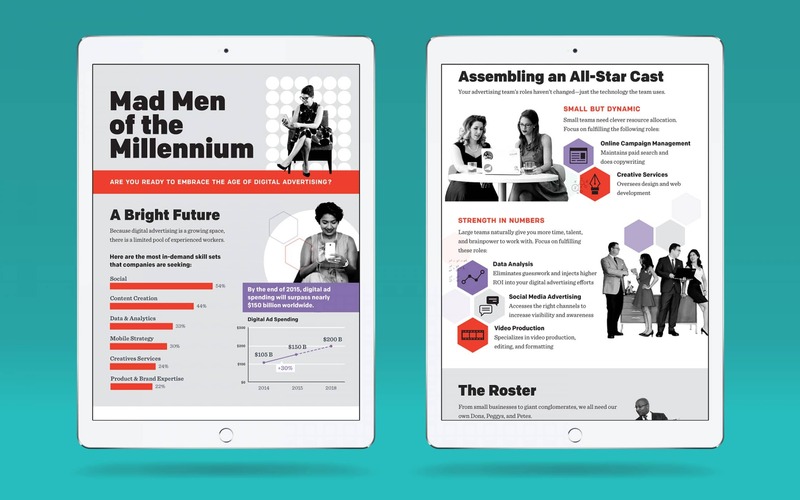 For instance, Marketo created a Mad Men-themed infographic to attract millennials. The retro photography and the unique design was perfect for strengthening relationships with the right target market. As a fantastic combination of useful information and engaging graphics, infographics can be a wonderful way to get your message out to the right people. If you have a particularly visual consumer base, you might find that infographics help to boost the rest of your content marketing strategies. The question is, how do you make sure that you’re doing a lot more than just designing another attractive image? Just because you’re designing an image instead of writing a marketing article doesn’t mean that you cut corners on content creation. If the content of your infographic is helpful, insightful, and engaging then people will read it. Infographics should be clear and concise. The rule here is always quality over quantity. Don’t overwhelm your reader with dozens of different points when you can get your point across with a few great images and bullet points. If you do have a lot of content to share, it’s a good idea to break it up into a range of bite-sized morsels. This will make it easier for readers to digest what you have to say. Speak to any successful infographic designer and they’ll tell you that infographics need to be simple to be successful. One of the biggest advantages of creating an infographic is that they allow you to distil ideas into simple visuals. Creating an infographic that’s needlessly complex could detract from your customer’s experience. Make sure that you focus on getting one specific point across. Decide on your goal when you start creating and make sure that you stick to it. You may even need to go through your infographic wireframe at the end and remove anything that’s not necessary. You can also do this alongside your infographic designer. Keep your brief clean and simple. When you’re designing an infographic for the first time, it’s easy to get carried away by many of the same issues that people face when they’re creating their own website or logo. With so many great images and trends to choose from, you might end up packing too much into a small space – meaning that readability ends up getting lost. Since a great infographic needs to be easy to follow and read, it’s crucial to ensure that you’re using plenty of white space to break up sections. Make sure that you don’t make your infographic so lengthy that your customers feel as though they’re scrolling forever. At the same time, remember to keep colours and fonts simple so that they don’t overwhelm the eye. Flow is an important part of ensuring good infographic design. Since many infographics are vertical in nature, you need to ensure that the information you provide flows visually and cognitively from the top to the bottom. The more flow you have, the more your customers will naturally follow your story down the page. Many companies suffer because their infographic designers don’t know how to create an image that conveys information in a simple-to-follow format. Instead, they simply throw information at a reader in an assortment of images and charts. When you create an infographic or get help from a professional, make sure that flow is at the front of your mind. This will help your reader to fully understand the message you’re sending. A great thing about infographics is that they’re naturally shareable. Consider the fact that Tweets with images get about 150% more retweets than tweets without pictures, for example. If you put all of your effort and focus into creating a graphic design that you’re sure your audience is going to love, you also want to make sure that they can share it with their friends and colleagues. Social sharing buttons can be a great way to boost your design. On the other hand, if your infographic is quite long, you might think about slicing it up into smaller images to share on social media. Sharing parts of your infographic design across different social platforms could generate interest. What’s more, you can always link your viewers back to the full infographic with keywords, improving your SEO results. Finally, one of the biggest mistakes that organisations make, is that they assume that they can simply create an infographic, then sit back and wait for it to go viral. Unfortunately, even if your infographic designer creates something amazing, that doesn’t necessarily mean that your content will be automatically contagious. Reach out to social media influencers. Add sharing buttons to your infographic. Include a link to your infographic in your email campaigns. Don’t let your infographic languish in obscurity just because you haven’t taken the time to properly promote it. When they’re used properly, infographics and other types of visual content can enhance and enrich the rest of your content marketing strategy. For instance, your infographics could be the interest point in your email that encourages people to stop for a moment and pay attention to what you have to say. An infographic could even give more authority to your brand – particularly if you’re sharing exclusive information and statistics. Infographics are successful because they’re quick and easy to absorb. If someone doesn’t feel like reading an entire article, they might still look at what your infographic has to say. What’s more, it’s worth noting that 65% of the world is made up of people who prefer to learn through visual media. In a world where your customers are constantly rushed and busy, infographics are more likely to be read than a long piece of blog content – even if your blog might get you better SEO rankings. Additionally, infographics are also the “most-shared” content type – making them a great way to convey data to your audience. Unfortunately, while infographics might be easy for your audience to digest – they aren’t always easy for brands to create. That’s why it’s so important to make sure that you find the right infographic designer from day one to communicate your messages for you. Getting ahead in today’s competitive world is all about sharing the right information in the best way. 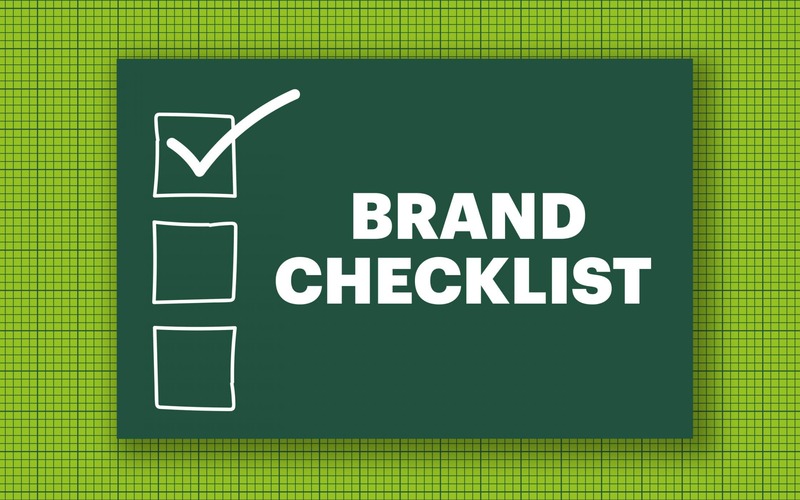 An infographic could be your key to unlocking a brand-new audience. Need help with your next infographic? 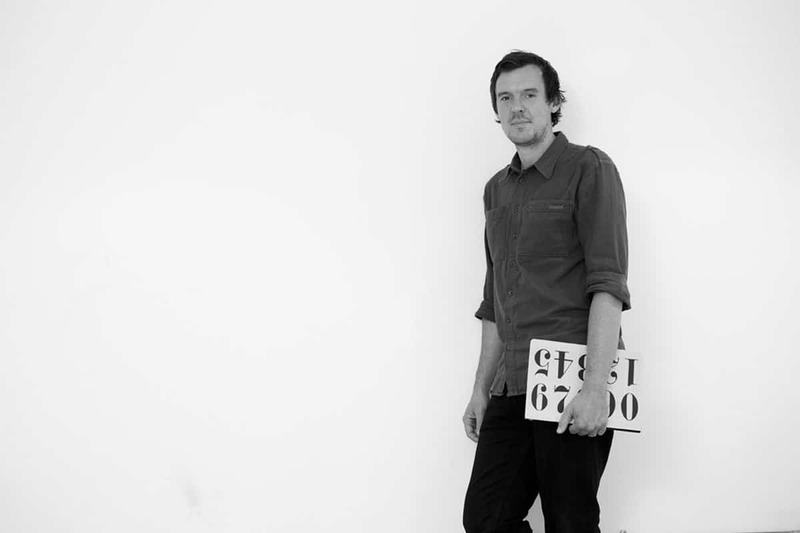 Why not reach out to the experts at Fabrik today! Infographics are becoming a key component of presenting information to your customers. There’s so much information out there now just constantly bombarding people and they won’t stop to look at your content unless there’s something eye-catching about it even if the topic you’re presenting on is a serious one like the idea of using lemons to talk about potential symptoms of breast cancer. Good work in highlighting this area! Thanks for the feedback Richard, infographics are definitely an eye catching way to convey information! My favourite example of a great infographic from last year was one showing the top private employers in each US state. It made for really interesting viewing as Walmart was the top private employer in 22 states! They absolutely dominated pretty much all of south-eastern USA and the image was shared over 1 million times on social media. The appeal of infographics is that they impart information in a way that’s easy to digest and eye-catching for those scrolling through their phones. Infographics seem to be a product of the age that we live in. When it comes to viewing content online people’s attention spans are absolutely shot. Something has to immediately speak to us about a particular article or image before we’re prepared to invest any time in it at all. 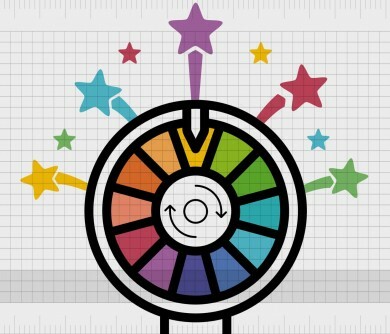 This article has some great tips on the use of infographics and there are a few other articles on this site about the use of colour and shape that should help anyone looking to build a quality infographic. Glad you enjoyed the article, thank you for reading!